This article will help update your SPF record to ensure emails sent from automated ProspectSoft systems reach your customers successfully. An SPF (Sender Policy Framework) Record is a TXT file which contains a list of hosts authorized to send e-mail on behalf of a given domain. If you have issues with emails not sending (for example, after a customer confirms an order on your website and does not receive a confirmation email) it is likely your SPF record does not contain the correct hosts. 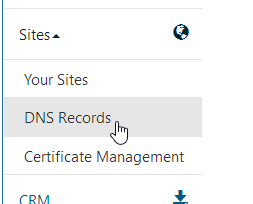 This domain may change in the future so please ensure you refer to the DNS page on the admin portal.